Moneyspire 2016 Free - Personal Finance Manager by Moneyspire Inc. If you want to manage more than 1 account and 9 reminders you can upgrade to the full version. After you upgrade, you can transfer your data by clicking the File->Backup menu option in Moneyspire 2016 Free, and then clicking the File->Restore menu option in the full version of Moneyspire 2016. Moneyspire is the comprehensive user-friendly personal finance manager that brings your entire financial life together in one place and helps give you peace of mind. Keep track of your bank accounts, credit cards, etc. and organize your transactions and see where your money is going. Set bill reminders and see all your upcoming payments so you never forget to pay a bill again. Set a budget for all your expenses and keep track of your progress to help you stick to your budget. Generate detailed reports and charts and see exactly where your money is going, and make tax time easier. Features include: a clean easy-to-use interface, mobile companion app, split transactions, reconciliation, investment account support, multiple currency support, Direct Connect with Online Bill Pay, check printing, QIF, QFX, OFX and CSV file import, and more. The best money management software for Mac! Fixed problem with loading databases that are marked as read-only. Took currency symbols out of report and budget screens for easier reading (currency symbol still in heading to denote currency used). Can now specify import start date for OFX, QFX, QIF and CSV file imports. 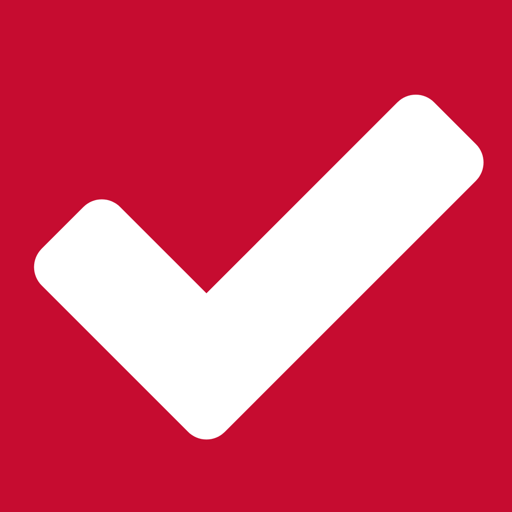 Updated application icon (icon is now a red checkbox). Changed the way data files are loaded so that files accessed through network will now work properly. Fixed problem with Direct Connect and some financial institutions that report software is out of date. Application now works properly with data files stored in locations other than local data folder. Application will now work properly with mobile companion app. 1) Accounts, Categories, Reminders, Budgets, Payees and Currency windows are now resizable, and their size and location are now remembered. 2) Fixed problem with budgets and currencies that use a comma as a decimal separator instead of a decimal point. Fixed problem with Direct Connect on some account types in version 16.0.38/16.0.39 upgrade. Closed accounts are no longer shown in Direct Connect account list.